Sticky labels are so useful, for so many reasons around the house and in everyday life. They can help you get organised, help you organise your family, and they can just cheer things up a little! 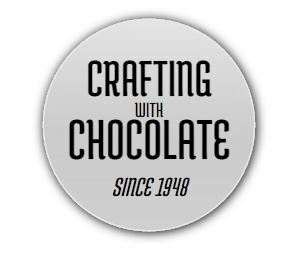 Better yet, designing your very own personalised sticky labels online is so easy! You can choose your text, your favourite font, decide on the best colours, even add images if you like. You can make round stickers, square stickers, rectangle stickers, with a little detail included or a lot, it really is quick and simple to create a perfect sticky label, just the way you want it. 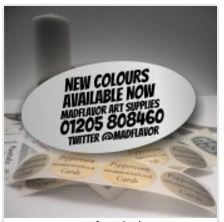 Once you have your personalised sticky labels, you’ll soon be wondering how you ever got on without them! View our full range of custom stickers here. Do you love to get creative in the kitchen? Do you make your own jam or your own homebrew? Sticky labels are a great way to keep track of what you’ve made, what ingredients you used, and when you made your goodies. Also, if you’re planning to give your homemade produce as a gift, a personalised sticky label can be a perfect decorative finishing touch. Do you love to bake? If you’re a cupcake queen who enjoys giving the gift of delicious baked goodies, a personalised sticky label can be a lovely finishing touch. How many devices are plugged in to your TV unit? The TV, obviously, perhaps a stereo or hifi? A DVD player? Games consoles? The list goes on and on, and so do the plugs! Sticky labels to identify what each plug leads to can be massively helpful when you need to unplug just one device. 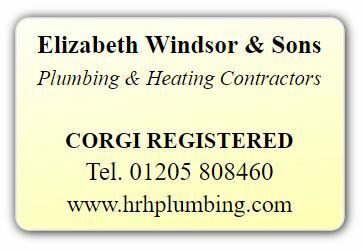 Address labels are so useful and can save you a great deal of time and hassle. If you buy and sell on auction sites, for example, you might be sending out dozens of packages every week, a return address sticker looks professional, helps make sure your packages are safe and is so much quicker than writing your address by hand every time! When you’re moving home, letting everyone who needs to know about your new address can be an arduous, time-consuming task. Sticky labels showing your new address can help to make the process much easier. In the case of bills, you could photocopy an old bill and stick your new address next to your old – save time and stress! 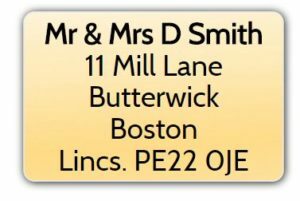 Pre-printed address labels will save so much time! If you are running your own business, or even just meeting new people at networking groups, PTA meetings or playgroups, a sticky label is a great way to have your mobile phone number and your email address to hand without having to fumble around looking for a pen and paper. When your child has a birthday party, party bags are usually a necessary evil, so why not have fun with them? You could personalise a label for each child, or simply have labels printed all saying ‘Thank you for coming to my party!’ – it’s a lovely finishing touch. When you send out your Christmas cards, why not design a unique label to use as an envelope seal? You could use a picture by one of your kids, scanned and reproduced as a miniature, or simply print a message such as ‘Merry Christmas from the Smith family’. Are you a bit of a thrifty domestic goddess? Do you freeze leftovers and turn them into an extra gourmet meal at a later date? Then labels designed to keep track of what’s in all your Tupperware and how long it’s been there will make life much easier! It’s a fact of life that kids lose things. However, some funky labels with their name on, in their favourite colours, might just give them half a chance of hanging on to their pencil case, their book bag, their lunch box and everything else until the end of term! School labels are a must if your child is regularly losing their items! If you have more than one child at home, you’re probably all too familiar with arguments over ownership of books and toys. By designing personalised sticky labels for each child, you can cut the arguments short by letting them each label their own things – genius! Are you crafty by nature? Do you make greetings cards or art prints or jewellery perhaps? 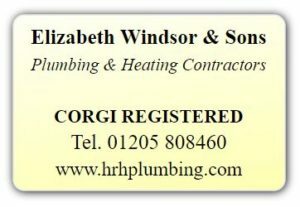 Give your crafty makes the professional touch with a personalised sticky label showing your name – it’s a great way to score yourself some free advertising too! So, what are you waiting for? Get designing your own personalised sticky labels today and start making life easier and more organised!